Hello guys! 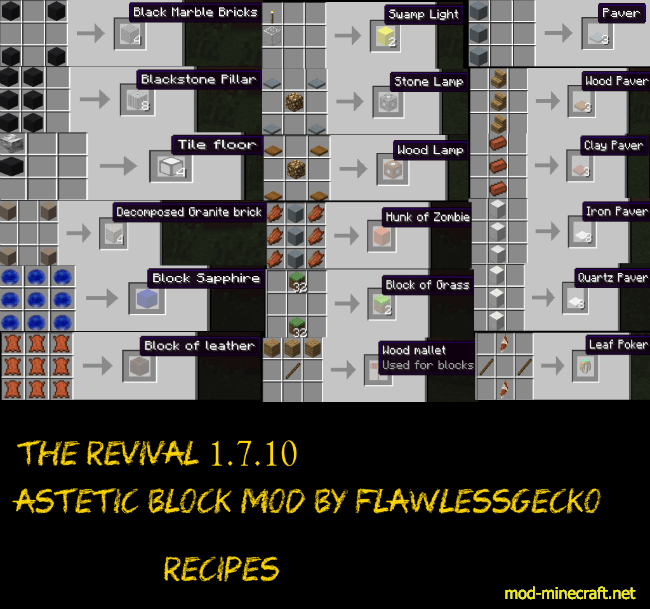 The Revival Mod features a bunch of new blocks. 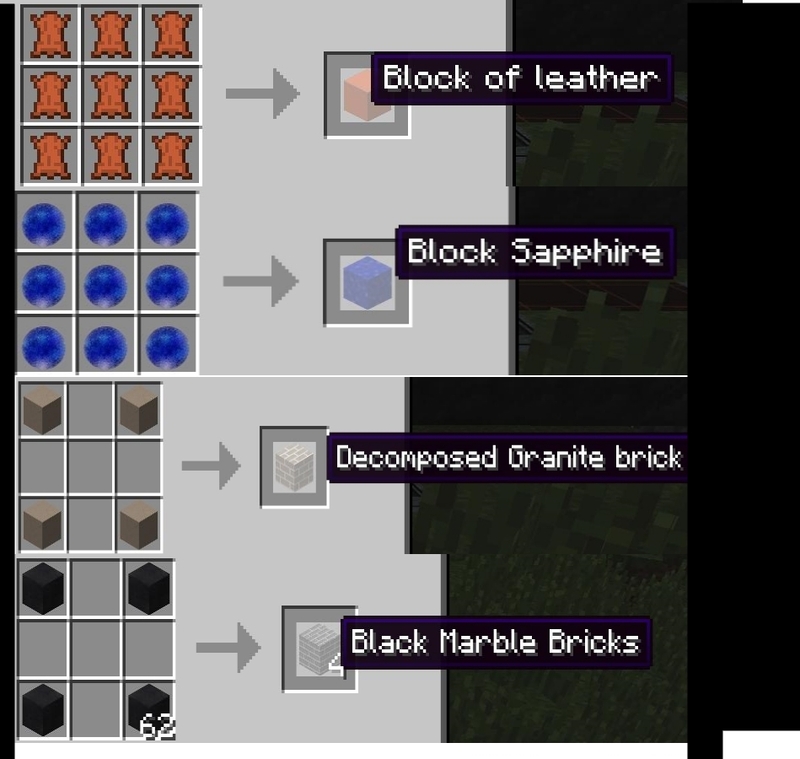 The ones that will spawn are Granite, Black marble, Decomposed Granite, Sapphire Ore and Jasper ore. 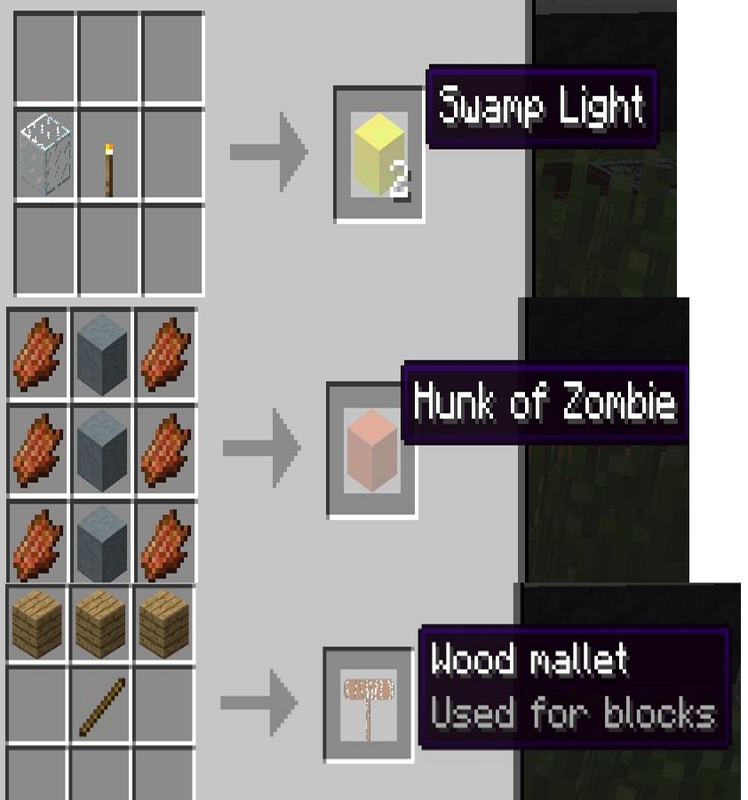 There are 16 new craft-able blocks from Decomposed Granite Brick, Black marble brick, Stone and wood pavers, Stone and wood lamp, Hunk of zombie meat and Leather block. Tile floor block and Sapphire block with more are added as we go along. 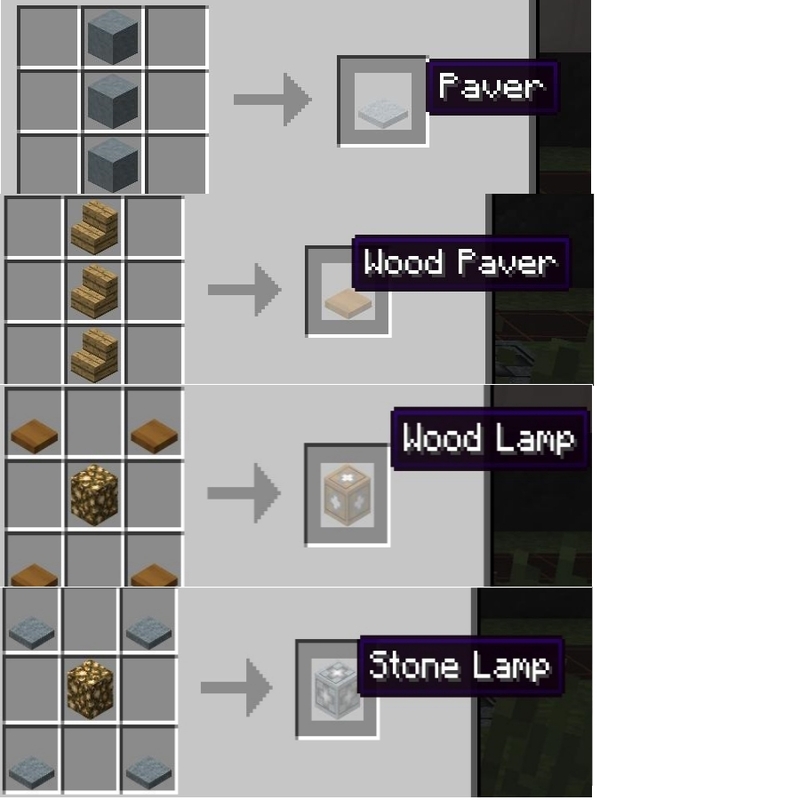 The Revival Mod is named the revival for going back to just adding new blocks, not harvesters or miners just plain old blocks and items.